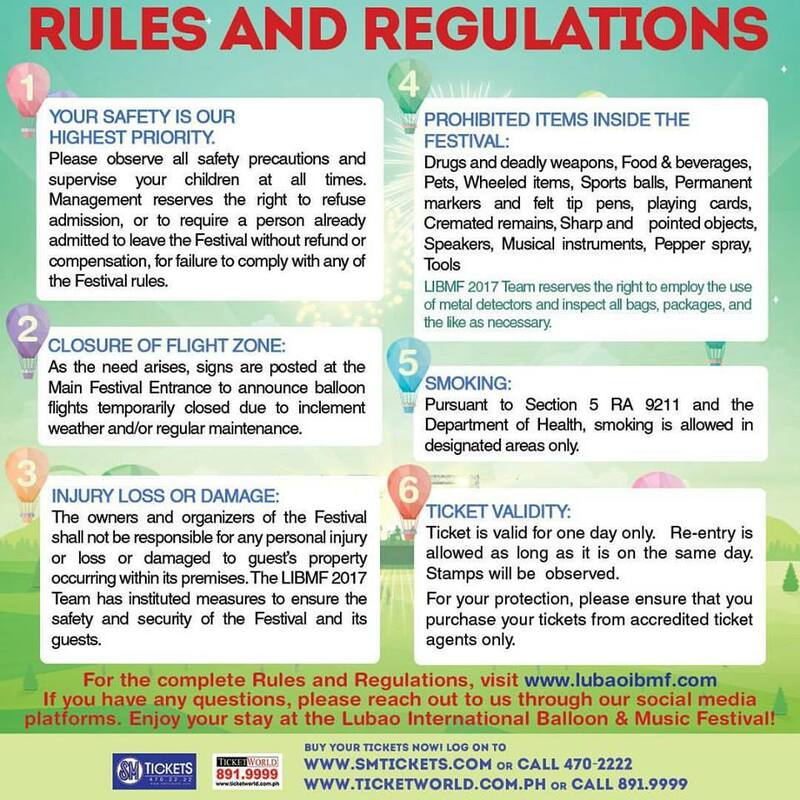 Are you ready for this year's Lubao International Balloon and Music Festival? 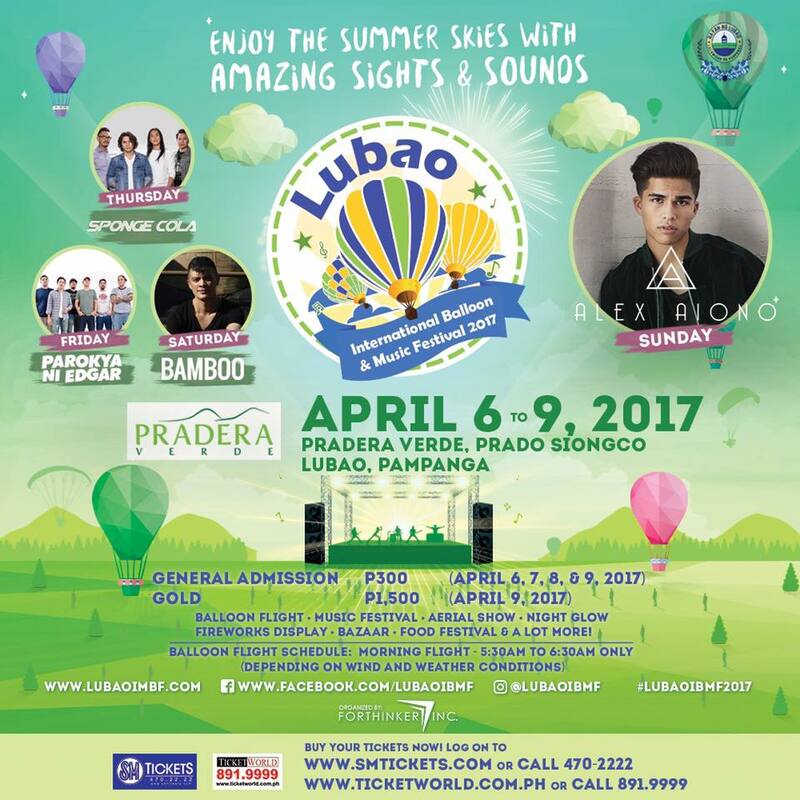 It's happening on April 6-9, 2017 at Pradera Verde, Prado Singco, Lubao Pampanga. Enjoy the Summer Skies with Amazing Sights and Sounds! Summer in the Philippines last 2016 heated up with colors and wonders as the biggest hot air balloon festival in Southeast Asia was set to light up the skies. 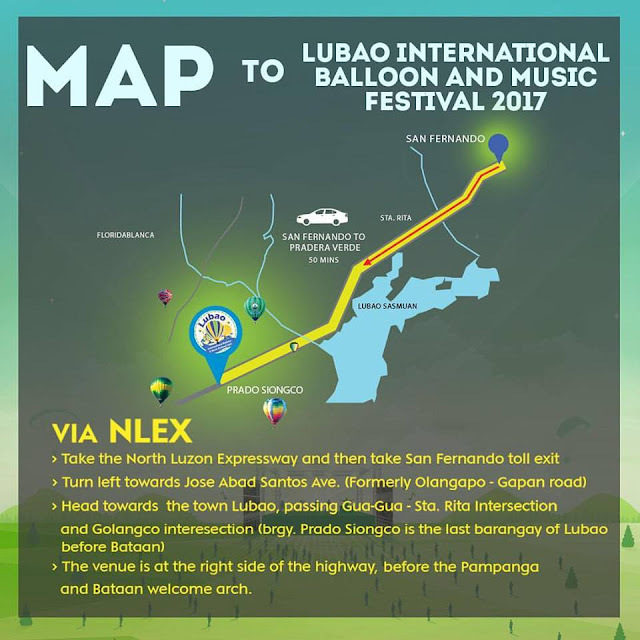 The Lubao International Balloon Festival 2016 featured amazing balloon flights from international participants, as well as aerial exhibitions and other exciting activities like land exhibits, car shows and fireworks display. Families and barkadas got to enjoy dynamic music from Ely Buendia, Bamboo, True Faith, Sabado Boys and Mitoy and D’Draybers. Indeed, it was a successful and well-attended event which paved the way for another exciting hot air balloon festival that everyone can surely look forward to. Happening on April 6-9, 2017 at Pradera Verde, Prado Siongco, Lubao, Pampanga, the most awaited event will be back bigger, bolder, and better! Bigger. More than thirty (30) international balloons will decorate the skies of Pampanga with magnificent designs and beautiful colors. It will surely be a one of a kind spectacle for the viewing pleasure of over 100,000 expected local and foreign guests. Bolder. The festival will not only showcase the majestic display of hot air balloons during the day, but also provide the spectators with the chance to marvel at their grandeur against the night sky during the Night Glow. Furthermore, amazing fireworks display will cap off the day and end it on a high note. Better. Great views are best enjoyed with great music. A first for the event, an international music festival will be held on the last day featuring Alex Aiono and Redfoo with Party Rock Crew. Local artists will also perform like SpongeCola, Parokya ni Edgar and Bamboo. It’s going to be a wonderful experience, so bring your friends and families over to enjoy the summer with amazing sights and sounds at the Lubao International Balloon and Music Festival 2017! 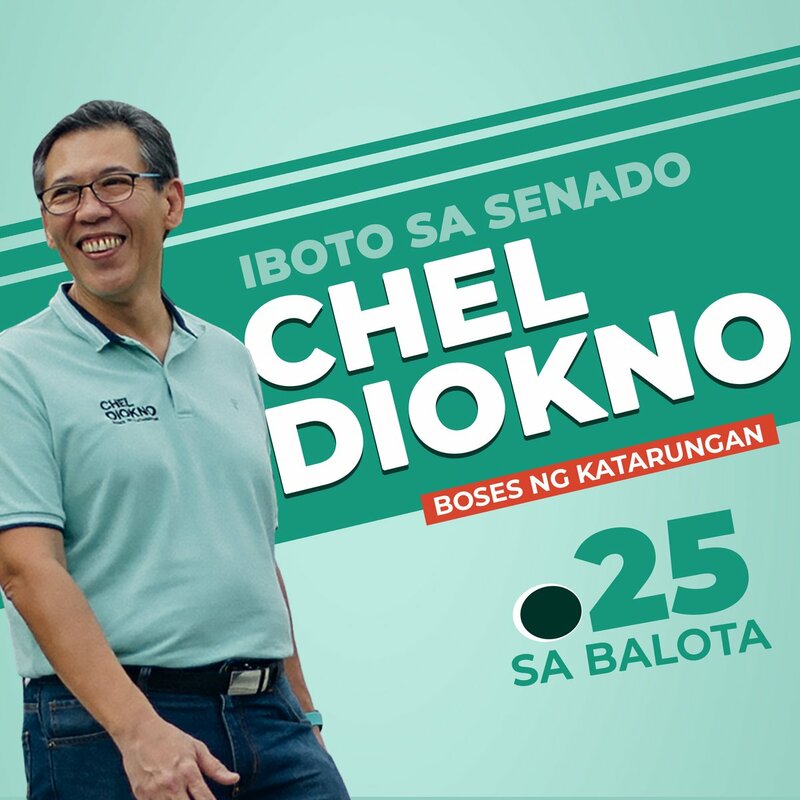 Buy your tickets now at SM Tickets (https://www.smtickets.com) and at TicketWorld Online (https://www.ticketworld.com.ph). Ticket price is at P300 for General Admission valid for one day only from April 6-9. A special Gold Ticket worth P1,500 is available for April 9 which provides a closer view during our International Music Festival. The Lubao International Balloon and Music Festival 2017 is organized by Lubao International Balloon Festival, Inc. (LIBF) together with Forthinker, Inc., in cooperation with the Arts, Culture and Tourism Office of Pampanga (ACTO) and with support from Provincial Government of Pampanga. 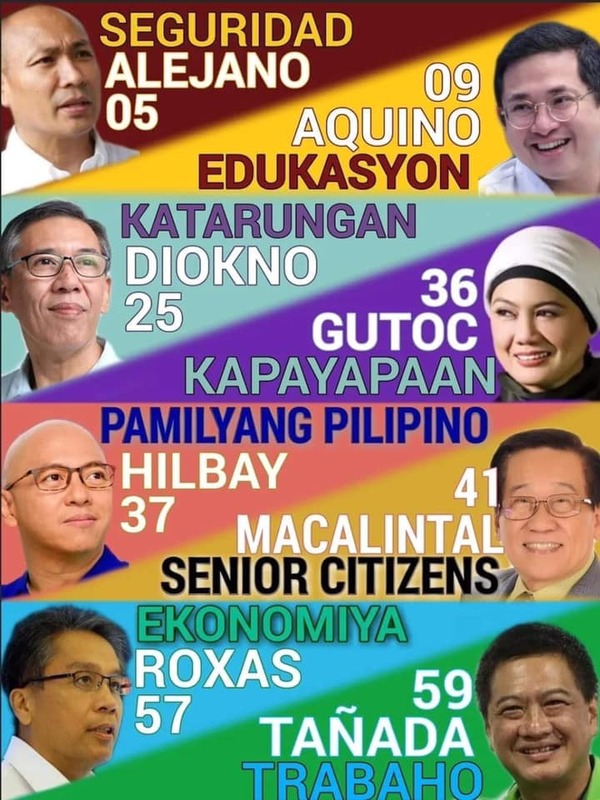 For more information and inquiries, you may contact Forthinker, Inc. from Mondays to Fridays, 9am to 6pm via landline +632 942 0768, mobile 09178210728 or email – lubaoibf@gmail.com.